that body’s sixth public policy decision on this matter spread over a remarkable 53 years (1960-2013). While many aspects of this implausible series of events merit description, two stand out in my mind. One, unlike what is claimed about some other communities, the criticism of fluoridation in all six episodes--and that carried the day in five of the six--was dominantly science-based. In many countries and communities around the world, the naming (and renaming) of streets for local and related people is a matter of intense debate and even conflict. The phrase “the politics of memory” usefully captures the reason for this. 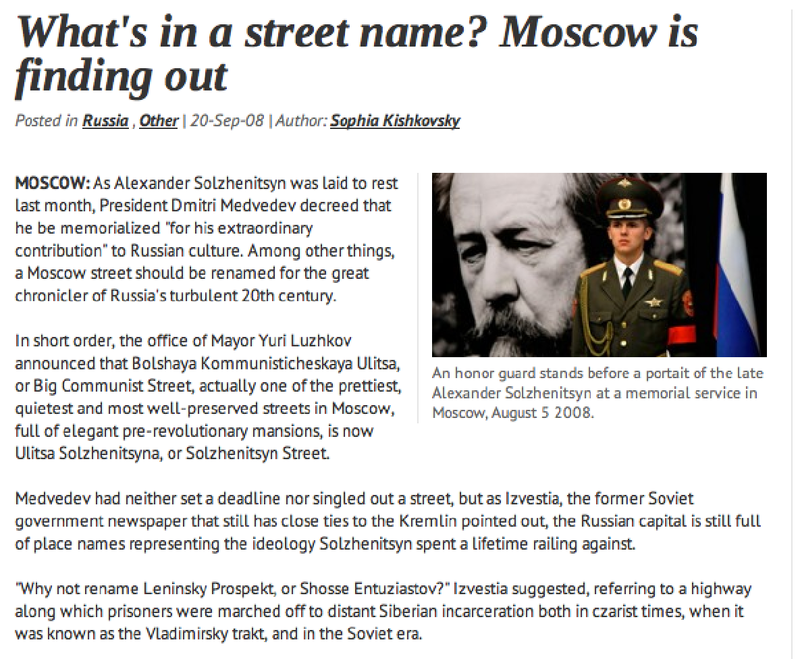 Names on street signs (plazas, etc.) may or may not recall a past that one likes or wants to be honored. 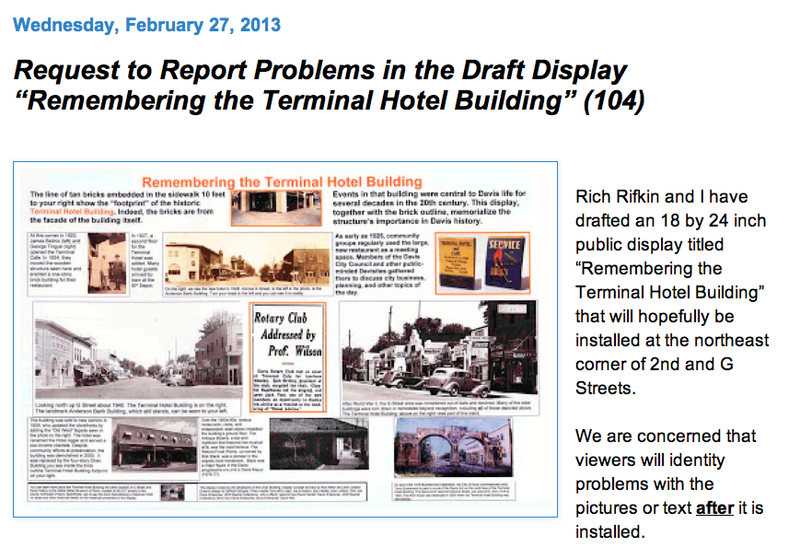 In some racially and ethnically divided societies, there are at least two opposing pasts seeking the honor--memory--of public place recognition. In some of these societies, the street sign names literally go back and forth depending upon which group is in power. And, in these disputes we see the usual assortment of human conflict tactics, including the claim there is, in reality, nothing about which to disagree, acts of intimidation and bullying postures, among the milder ones. 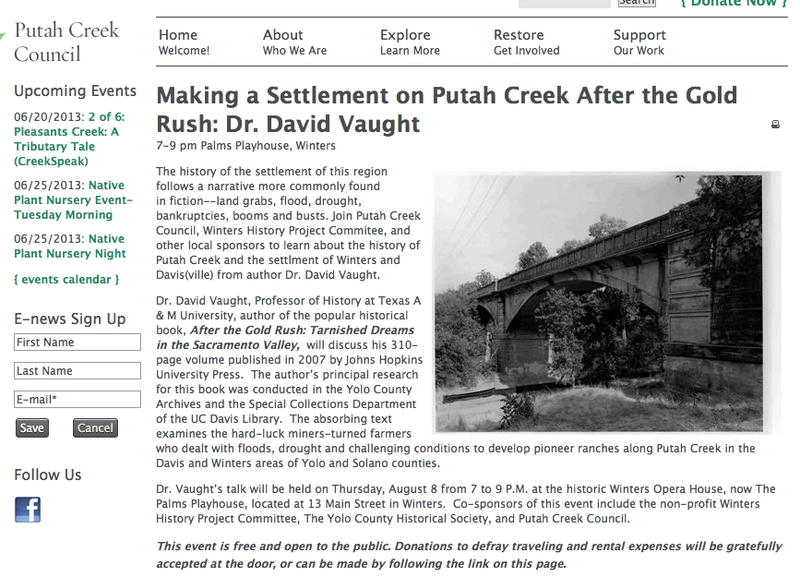 At its meeting on December 16th, 2013 the Davis Historic Resources Management Commission (HRMC) will, according to its press release, “discuss a proposal to update and refine a list of individuals and families who have played a significant role in Davis’s history.” A major purpose of this list is to provide names for streets in the planned Cannery subdivision. I want in this post to suggest, first, that rather than “update and refine,” the Commission should think anew about how a “list” might be correctly established in the first place (if a list is, indeed, needed). The existing effort displays inequity and plans for its use are deficient and invidious. 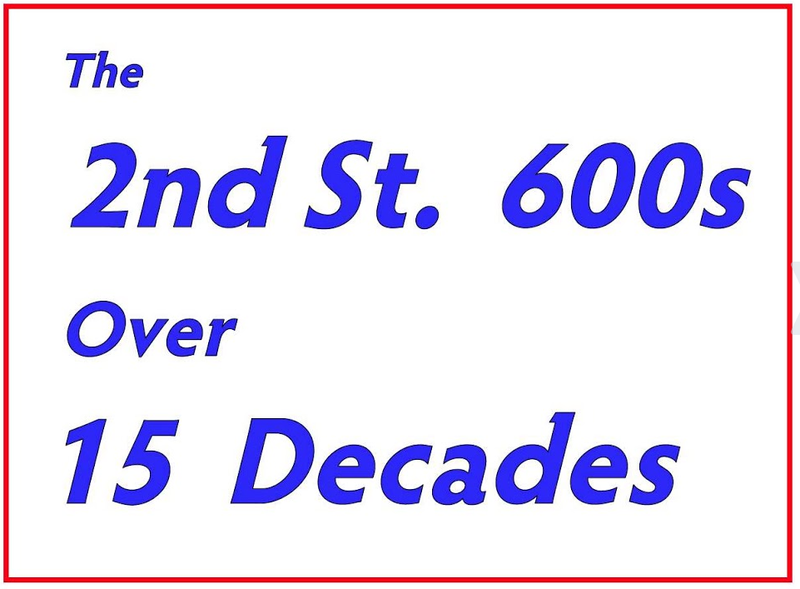 Second, after describing nine measures that might lead to a legitimate list that could be used properly, I want to raise wider questions about naming Cannery streets in the first place. 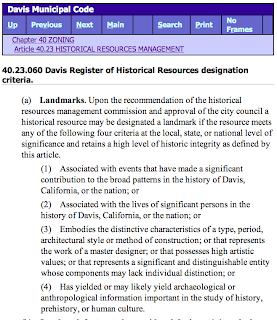 On November 12th, the City Council unanimously declined to approve two HRMC “Historic Davis Names” lists submitted to it. In response, that body has scheduled a December 16th “discussion” meeting described in the press statement reproduced here. Some background to this matter appears in the previous two posts on this bog, numbers 139 and 140. The two "historic names" lists in question are reproduced after the jump. 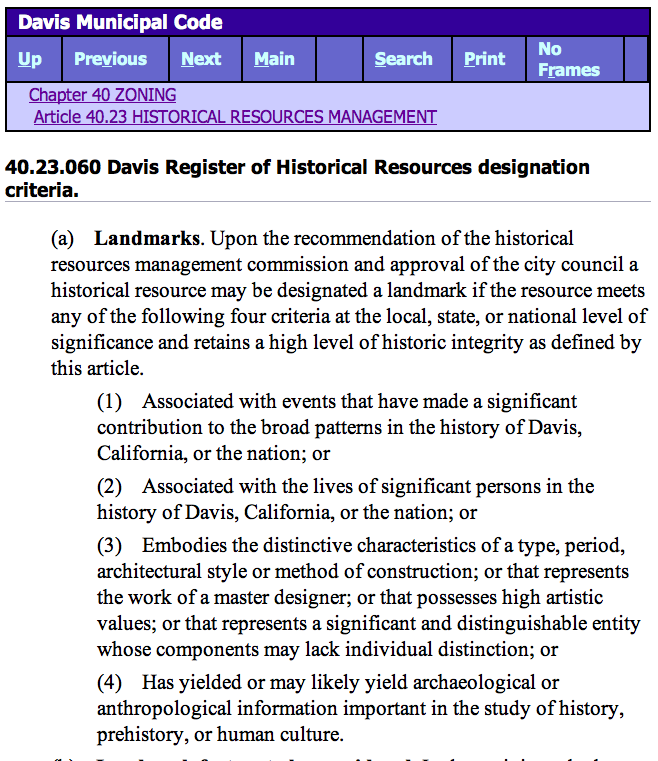 Council agenda for November 12th (shown to the right) is an action to endorse an HRMC created list of “historic Davis names” for use in naming Davis streets. If Council approves this action, “staff would utilize the list, in consultation with the applicant, to develop street names” for new subdivisions, including the Cannery (if approved) (Staff report page 3, below). This post consists of the agenda item H text, the Staff Report, and relevant portions of the HRMC minutes involving this matter. The proposed list (or lists) appear as pages 5 and 6, below. 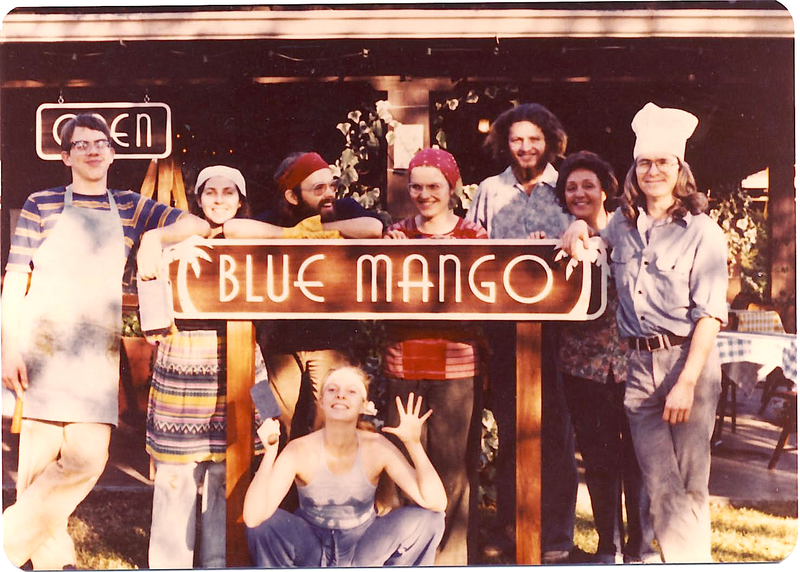 celebration of the opening of the Blue Mango on October 19, 1979. I had hoped to post his email and the two photos accompanying it closer to the anniversary event, but there was a communication mix-up. But no matter, with his permission, here is that celebration news now. 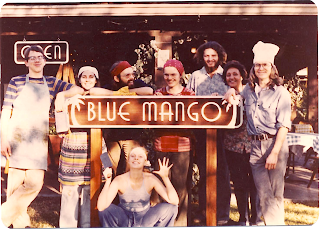 The Blue Mango must surely rank as one of Davis’ signal, all-time institutions. 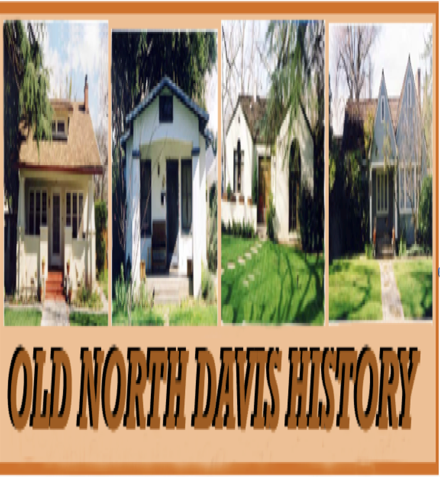 It very much expressed the tenor of a key period in Davis history. As a preview, I reproduce a few screenshots from it below in this post. In the first post on this idea, I highlighted reports of citizen reactions to the Winters-centered earthquakes of 1892 (post number 117, May 12, 2013). 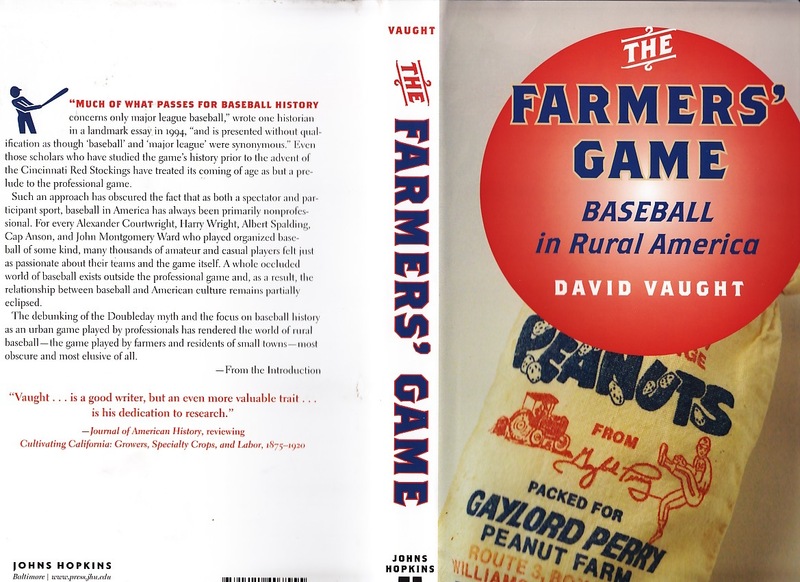 This post associates the same idea with much the same period of Davis history, only this time dealing with the reported rapid rise of interest in the game of baseball among Davis area farmers. After I published descriptions of four episodes of serious public engagement with fluoridation in Davis history,* Barbara King emailed me a copy of the City Council Minutes from February 21, 1991 that suggested a fifth episode. I agree that these minutes (reproduced here) raise the possibility of a fifth episode. 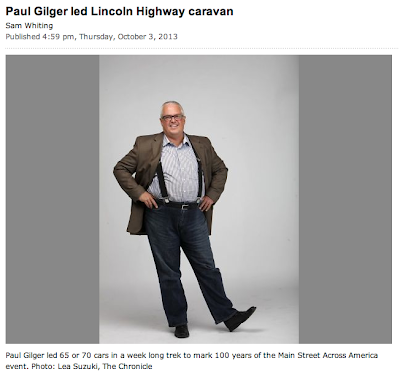 At the very least, they document a period of serious City government engagement. water is transported from the Putah South Canal to the UCD campus. The line itself is described in the first post. This post reports some social aspects of how it was created. 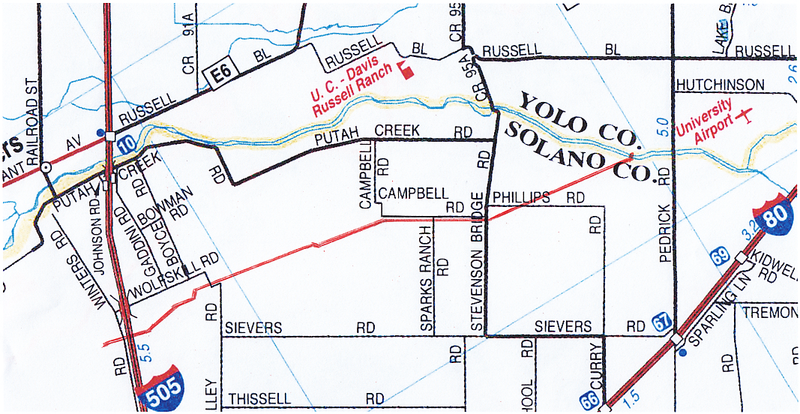 The massive “Solano Project” dammed Putah Creek in order to stop its natural eastern flow and to divert it south for dispersal across Solano County in a system of canals and pipes. The complex array of structures needed for this was almost complete at the end of 1958. 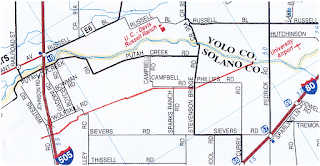 This is the first of two posts on the UC Offcampus Water Pipeline by means of which water is transported from the Putah South Canal to the UCD campus. The line is described here. The second post will report some social aspects of how this structure was created. 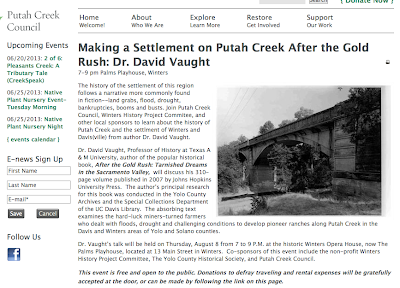 During the debate over Davis acquiring surface water from the Sacramento River, it was noted that UC Davis already had surface water--from Putah creek. 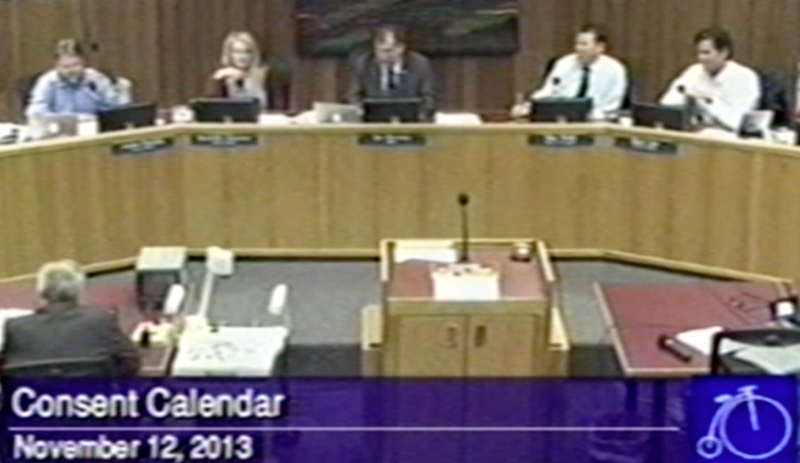 This post is the fourth of four, one each on four episodes of public debate on fluoridating Davis water. An overview of the four is given in post # 120, May 26, 2013. So far as I know, fluoridation left the Davis public agenda after 1964 and did not return until 1971. My read on the fluoridation fights is that they are always an establishment vs. anti-establishment contest. Because of the scientific nature of the fluoride question, where one falls comes down to how much a citizen trusts the scientific establishment or not. 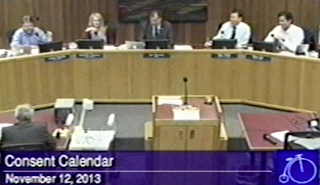 This post is the third of four, one each on four episodes of public debate on fluoridating Davis water. An overview of the four is given in post # 120, May 26, 2013. 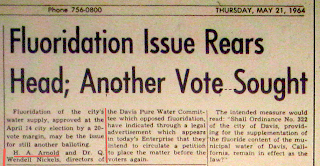 Within only a few weeks of their defeat at the polls on April 14, 1964 (reported in the previous post), members of the Davis Pure Water Committee began to organize an initiative drive to put fluoridation on the ballot. This post is the second of four, one each on four episodes of public debate on fluoridating Davis water. An overview of the four is given in post # 120, May 26, 2013. Of the four episodes, this one in the winter and spring of 1964 was the most ordinarily political. By “most ordinarily political” I mean that two named groups with a public leadership mounted campaigns in the forms of walking streets, organizing public debates, publishing advertisements, and the like. At least as evidenced by Enterprise reporting, such features were much less visible or even present in the three other episodes. Specifically, the Davis Dental Health Council faced off against the Davis Pure Water Committee. The names of the organized leadership of both were reported in Enterprise stories. 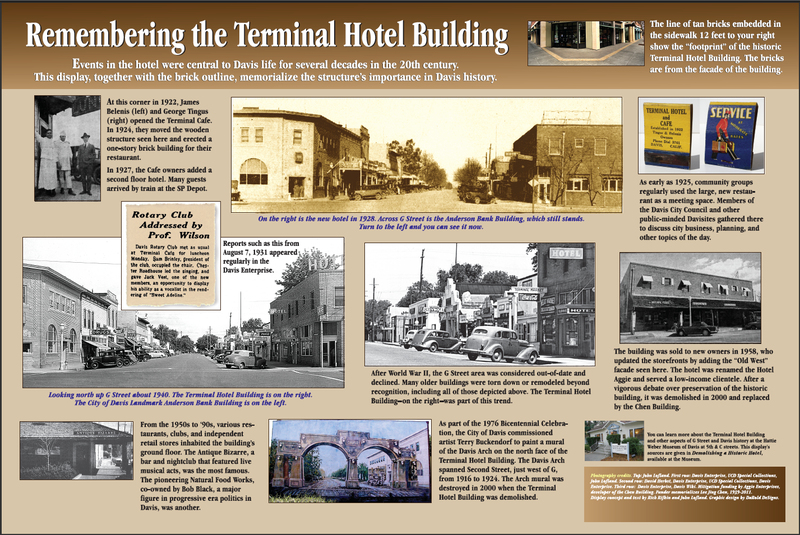 Readers of this blog will recall the February 27th post in which I published the first draft of a Terminal Hotel Building history sign. 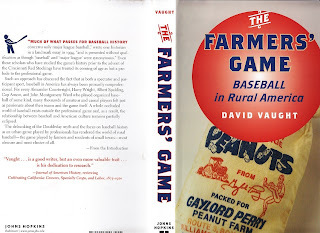 For reference, the introductory part of that post is reproduced here. Once again we invite people to inspect the sign and to send us their suggestions (rich_rifkin@yahoo.com or jlofland@dcn.org). 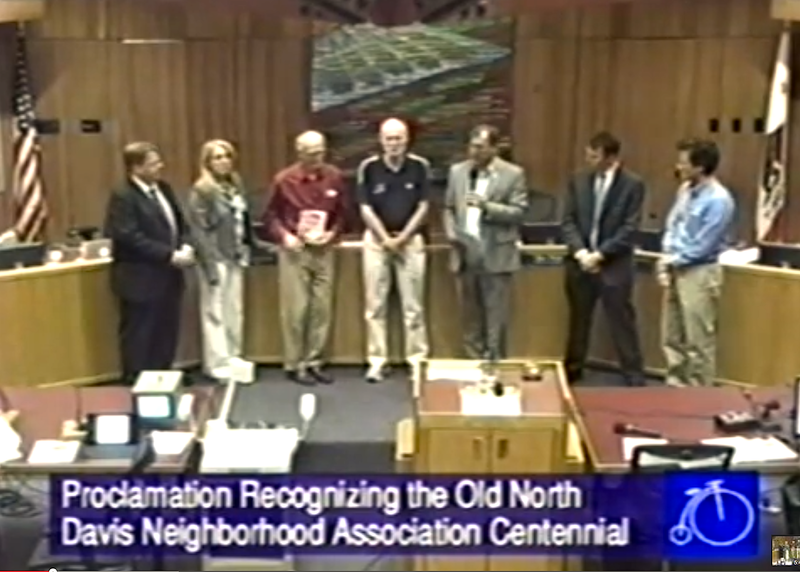 Tuesday evening May 28th, Mayor Joe Krovoza presented a proclamation recognizing the Old North Davis Neighborhood Centennial to Old North Davis Neighborhood Association Vice-President Dennis Dingemans and President Steve Tracy.